A couple of really cool new images from JPL today on their photojournal site. 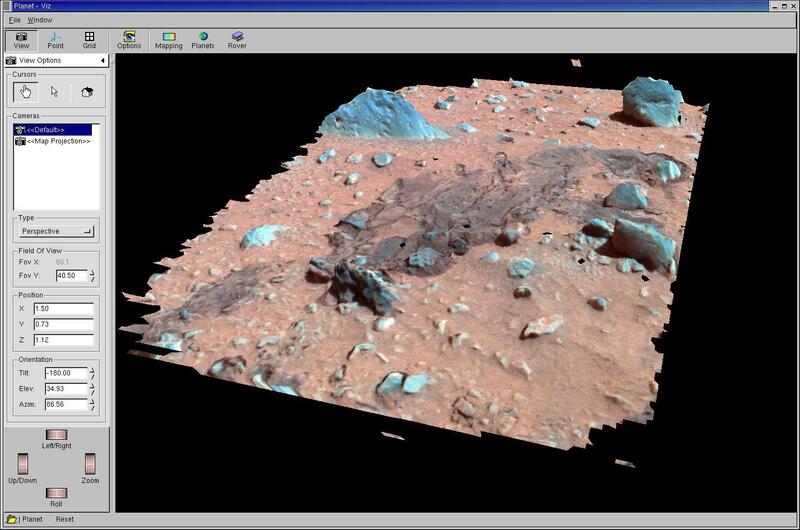 One is a screenshot of a portion of the ground near the rover rendered in a rather stunning image that converts the binocular vision on the rover into a 3D model. This looks like it was done to study the marks that the lander’s airbags made in the soil as they deflated. The scientists are intrigued because the top layer of soil appears to have formed a crust of some kind. The rover also completed standing up over the past couple of nights, and is expected to drive off the lander as early as Thursday. Spaceflight Now has a good news feed on Spirit’s activites if you’re interested.